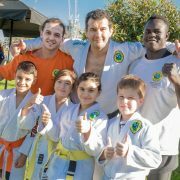 My BJJ (Brazilian Jiu Jitsu) coach Carlos Machado taught a BJJ seminar at my Sydney school on Saturday 6th May in front of 65 students. 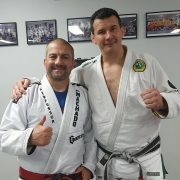 Carlos is an 8th Degree BJJ Coral Belt and lives and teaches in Dallas, Texas. Thank you to everyone who attended. It was a great Saturday afternoon! 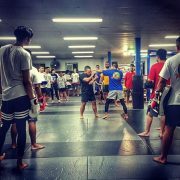 Team Perosh student Peter Mrsnik competed in a Muay Thai Kickboxing Development Day held on Saturday 22nd April in Sydney. 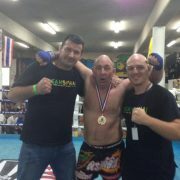 Peter made his Muay Thai debut in Sydney at the age of 50 and scores a decision win! Peter fought an opponent 17 years younger. Peter executed a great game plan on the day and got the decision win. Well done Peter! Welcome to new Team Perosh affiliate school Extreme Martial Fitness located in Smithfield. They have BJJ (Brazilian Jiu JItsu) classes twice per week taught on Wednesday and Saturday. SPMA Concord students Richard Arpad teaches on Wednesday and Philip Ferraro teaches on Saturday. Welcome to the family! SPMA Concord won a bag of medals and team trophies in 3 BJJ (Brazilian Jiu jItsu) comps in 3 weekends in Sydney. SPMA Concord’s team of 35 students won 12 gold, 16 silver and 5 Bronze medals at the Sydney Cup BJJ Circuit competition on Sunday 30th April. It was one of our club’s best ever performance at a single event. On top of that our club is part of the Will-Machado team and our team won 1st place for adults and 3rd place for Kids. Outstanding effort! Gold medals were won by Steve Rudic (Double), Grant Barlow, Frances Bavaro, Sam Senan, Rebecca Beuk, Darren Chee, Zack Kybali, Guy Vaccaro, John Kim, Axl Howie and Sam Cassanitti. Silver medals were won by Michael Su, Michael Lai (Double), Michael De Marco, Steve Rudic, Grant Barlow, Ethan Zahra, Frances Bavaro, Cooba Watkins, Mike Ryan, Zack Kybali (Double), Mason Elias, Guy Vaccaro, Kyzar Jing and Amelia Roufas. Bronze medals were won by Michael Su, Michael Ali, Jakib Hossain, Damian Iacono and Natasha Iacono. SPMA Concord's team of 14 students won 6 gold, 5 silver and 8 bronze medals at the Grappling Industries competition on 7th May. Gold to Nurbolat Kuandyk, Ante Jaksic, Amelia Roufas, Kobe Harb and Sam Cassaniti (double). Silver to Kobe Harb, Natasha Iacono (double), Anthony Roufas and Axl Howie. Bronze to Nurbolat Kuandyk, John Biona (double), Damian Iacono (double), Anthony Roufas, Alexei Fotheringham and Axl Howie. Team SPMA won the team trophy for Kids Gi and Kids Nogi. SPMA Concord's team of 23 students won 6 gold, 10 silver and 6 bronze medals at the NSW BJJ Autumn Cup competition on 14th March. Gold to Michael De Marco, Sam Senan (Double), Frances Bavaro, Rebecca Beuk and Jeremiah Diestro. Silver to Steve Rudic, Daniel Kwasnica, Zack Kybali, Rebecca Beuk, Kyzar Jing, Kobe Harb, Amelia Roufas, Emma Hunt, Jayda LaFleur and Axl Howie. Bronze to Zack Kbayli, Asad Malik, Jake Herrera, Keegan LaFleur, Natasha Iacono and Sam Cassaniti. The Will-Machado team came 3rd in Adults Gi and second in Adults Nogi teams trophies. Well done to all SPMA Concord students who competed. And a big thank you to all you came to support. 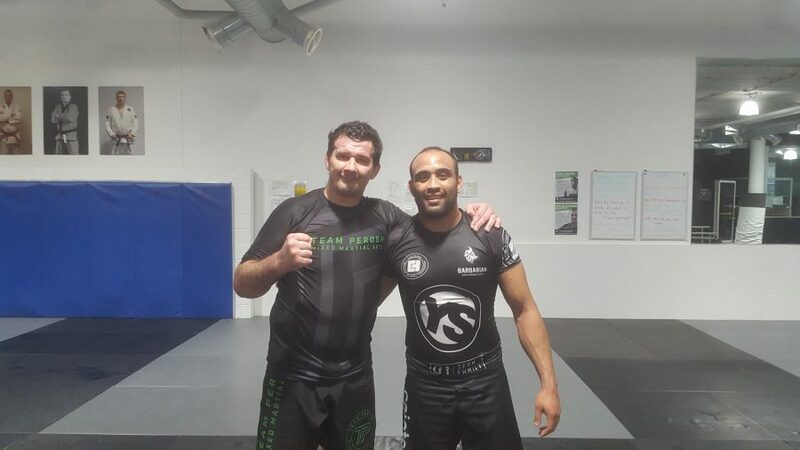 Big thank you to Marc "The Borneon Tiger" Marcellinus for taking classes for a week in April at SPMA Concord in Sydney and sharing his knowledge of Muay Thai. We love having you here. See you again soon! 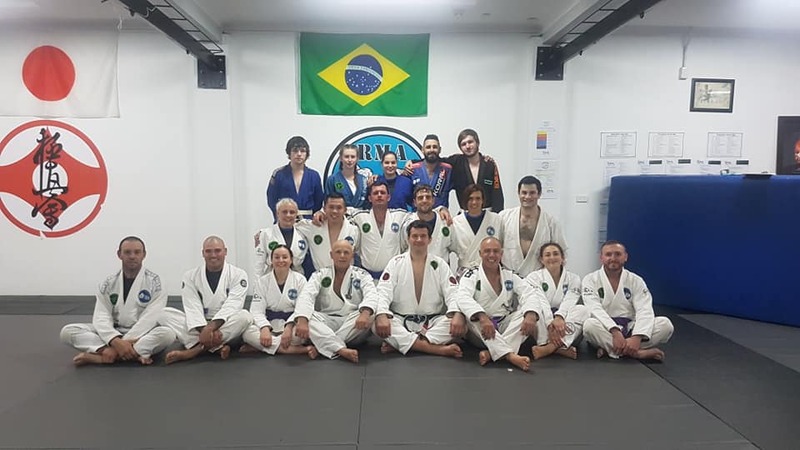 BJJ (Brazilian Jiu Jitsu) for adults and kids and Muay Thai Kickboxing gradings were held in March 2017 at SPMA Concord and also affiliate schools in Griffith, Dubbo, Kemps Creek, Minchinbury and MAcquarie Park. Congratulations to everyone that graded. Next gradings are in June. SPMA Concord participated in Canada Bay Council's Biggest Workout on Sunday 26th March in Sydney's inner west. It was an event to promote health and well being. Thank you to SPMA Concord students Nelson, Seb, Damian, Amelia, Natasha and Axl for helping out. A great day! SPMA Concord went 3 wins 2 losses in two MMA shows in Sydney in March. At Urban Fight Night in Sydney on Saturday 4th March Philip Kim and Adam Assunção won their matches by Rear Naked choke in the first round and Joey Belfiore lost by KO in the 3rd round. They all put in fantastic performances. Every single one of them was a professional pre-fight, during the fight and post fight. They were humble in both victory and defeat. At Brace for War in Sydney on Saturday 18th March Nurbolat Kuandyk won his MMA match by Triangle choke in the second round. Andrew Chapman lost by RNC in the second round in his Welterweight title match after dominating the first round. SPMA Moorebank student Byron Cowell lost his match by Guillotine choke in the first round. I am proud of everyone’s performance on the night before, during and after the fight. Big thank you to cornermen Greg Criticos and Jeshua McPhail for their help on the night getting the boys ready. And what a turn out of support! Over 500 SPMA Concord students, family and friends come to support across the two shows! You can check out all the videos of the fights by going to the fighter's FB pages. We win as a team, lose as a team and celebrate as a team! 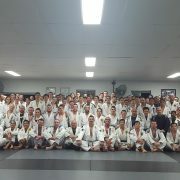 SPMA Concord had a fantastic perofrmance in BJJ (Brazilian Jiu jItsu) competions across Sydney in February and March. 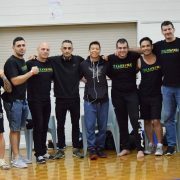 SPMA Concord had 7 students compete at the BJJ pro gi trials on Sunday 19th February in Sydney. They won 3 gold, 2 silver and 4 bronze medals. Frances Bavaro, Jeshua McPhail and Natasha Iacono won gold medals, Guy Vaccaro and Amelia Roufas won silver medals and Frances Bavaro (Triple) and Damian Iacono won bronze medals. 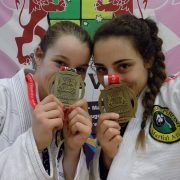 Extra big congrats to Frances Bavaro who won 1 gold and 3 bronze medals in 4 divisions after 8 wins and 3 losses! A stella performance! SPMA Concord's team of 21 students won 6 gold, 8 silver and 7 bronze medals at the Sydney BJJ Cup on 4th March in Sutherland. Stefania Boitana (double gold), Guy Vaccaro, Michael Ali, Kyzar Jing and Kobe Harb won gold. Steve Rudic, Ante Jaksic, Joseph Frangos Young, John Biona, Nelson Mayan, Amelia Roufas, Kobe Harb and Sam Cassaniti won Silver medals. Jeremiah Diestro, Natasha Iacono, Damian Iacono, Axl Howie, Anthony Roufas, Emma Hunt and James Hunt won Bronze medals. SPMA Concord had 4 students win 2 gold and 1 bronze medals at the IBJJF Sydney Open on 26th March. 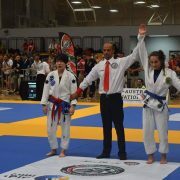 Frances Bavaro won gold in her weight division and bronze in the open blue belt division. Rebecca Beuk won gold in her white belt weight division. Well done to all the competitors! 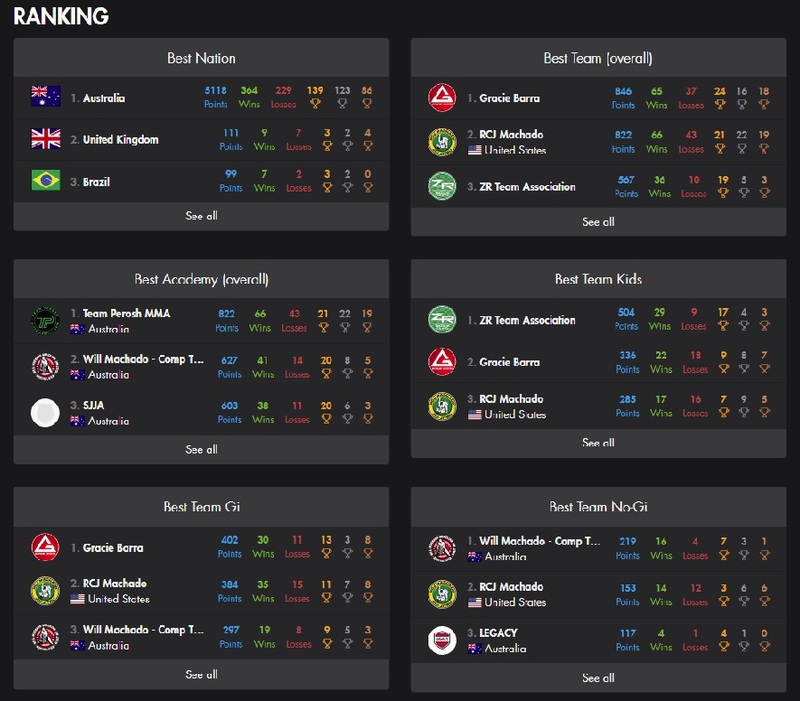 Welcome new BJJ affiliate in Borneo! 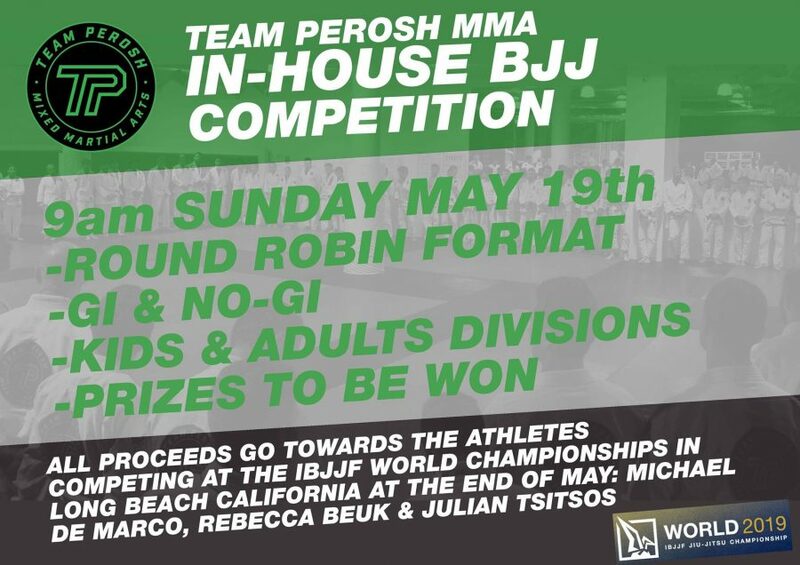 Team Perosh MMA has a new BJJ (Brazilian Jiu JItsu) affiliate in Borneon Tiger Mixed Martial Arts! It is run by BJJ Blue Belt Marc Marcellinus. Welcome to the family! 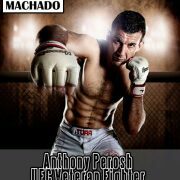 https://teamperoshmma.com.au/wp-content/uploads/2017/05/BJJ_Affiliate_Borneo_Malaysia.jpg 900 600 Anthony https://teamperoshmma.com.au/wp-content/uploads/2017/07/logo.jpg Anthony2017-05-24 17:35:062017-05-24 17:35:06Welcome new BJJ affiliate in Borneo!